VENINI has been based in Murano since its opening in 1921. The company is one of the major references concerning research in glass and it’s considered as a landmark in the world of art. VENINI has been constantly developing its work in their laboratory, a place where passion and fascination for glass is able to enchant and thrill everyone. Working closely with worldwide designers to allow ideas and intuitions to come true. 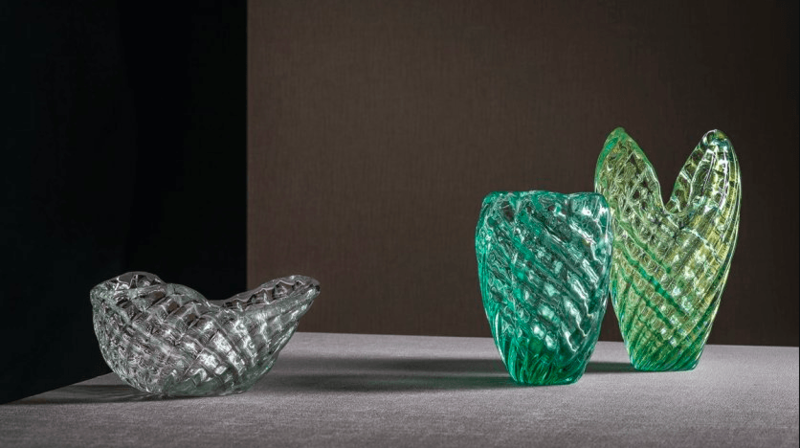 Glassworks signed by VENINI are made precious and recognizable thanks to respect for materials and constantly developing research.Choosing VENINI, for You or as a present, means to be aware of belonging to a world where preciousness is directly connected to the brand itself. The complete VENINI collection is available at our London showroom 241-245 King’s Road SW3 5EL. Contact us for all product and price enquiries.